I was a mountaineering guide for 25 years. I took novices on 5-week expeditions into the mountains and deserts of North America, Africa, and India. My clients came to learn how to rock climb, ski, and travel on glaciers. What they also learned was how to form community and create family. I helped them to process inter- and intrapersonal difficulties, communicate more effectively, take and bestow leadership roles, and draw boundaries. At one point in my career, I trained NASA space shuttle crews in how to get along with one another on extended space expeditions. At the end of five weeks, clients thanked me for teaching them how to climb or ski, and they whole-heartedly thanked me for helping them to learn about themselves and how to grow as human beings. “Have you ever thought about being a therapist?” they would ask me. Jeffrey has a Master’s Degree in Marriage, Couples, and Family Therapy from Lewis and Clark College. He has intensive training and supervision in EMDR (Eye Movement Desensitization and Reprocessing), and EFCT (Emotionally Focused Couples Therapy), which he utilizes to help people who have experienced traumatic events, and broken couple’s attachments. His previous therapy position was as an intensive community-based Family Therapist for a social service agency in Portland, Oregon. During that time, he worked with families, couples, and children with multi-generational legacies of poverty, broken attachments, and abuse. Jeffrey weaves threads of attachment theory, emotionally-focused therapy, narrative therapy, and trauma reprocessing into his practice. 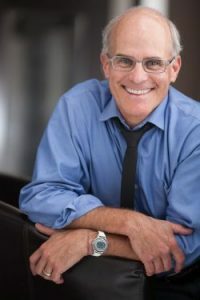 His practical life experience in loss, parenting, husbanding, blended families, climbing, trail running, biking, yoga, meditation, and living abroad all combine to inform his practice as a therapist with Two Rivers Counseling.